TAKE5 gives you an update on the latest Meetings, Incentives and Business Travel related news. It contains short and to the point information on venues, people, happenings, lifestyle and general news that cannot wait to be told! 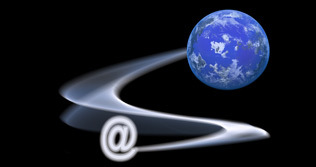 BBT Online guarantees you 15 new ideas in just 3 minutes. Enjoy our 50th edition. All of our take5 articles are advertorial free. Because you know it’s cool! What’s better than to drive around Italy in an Italian old-timer car? 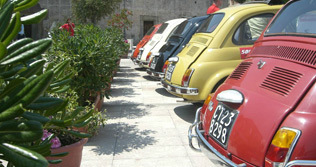 500 Vintage Tour organizes classic Fiat 500-600 tours for independent travellers or escorted groups around Sicily. Discover vineyards, golf courses and classic Greek myths or trace the footsteps of Vito Corleone in the special Godfather tour. Truly an offer you can’t refuse! 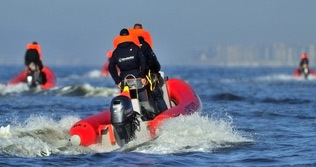 Thinking of an incentive or teambuilding activity on the Belgian coast? Why not try Wavekarting: a unique new water sport activity where you guide your own little motorboat over the North Sea waves. 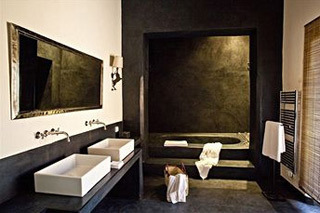 A beautiful new boutique hotel opened in South-Tirol: Hotel Pupp has 11 luxurious rooms, all with Jacuzzi. The hotel offers local specialties that you can eat on the roof terrace if the weather allows it, and even has its own bakery. Three other hotels in South-Tirol were completely renovated: Sport Hotel Sonne on the Alpe di Suisi and the 4-star Hotel Panorama on the same mountain, for a room with a real view. Looking for a hotel in Brussels with a truly unique atmosphere? Hotel Le Berger in the Rue du Berger might be just what you need! Built as a rendez-vous hotel (you know what that means) in the ‘30s, it has been completely renovated. All of the original art deco elements were preserved, making every room feel like you’re in an old film noire. Just take care no-one is following you if you really want to relive the old days. Incentive travels: a hazardous business? Incentive travels, they can be wonderful experiences. 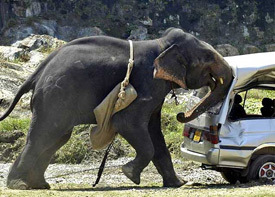 But what if that elephant you’re riding in India suddenly decides he’s had enough of giving tourists piggyback rides and tramples you out of sheer hatred for mankind? Where will you go? Who do you talk to? Who is responsible? What about preventive measures? In other words: how is the safety of participants guaranteed? As a treat for our Dutch speaking readers and in her own, humorous style, journalist Ellen van Ree shares her thoughts on this very serious matter. From this edition on Ellen will regularly report in BBT Online. 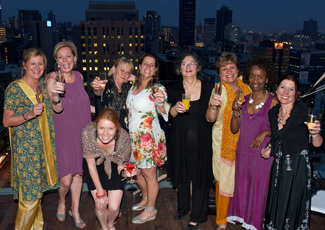 Christina Drakos celebrated her DMC’s 30th anniversary in Brussels last month. Starting off three decades ago, Upjon Pharmaceutical – a Belgian company – was her first client. Belgium would remain an important market in the years to come. As of July 1 Cyprus will be in the centre of attention, when it takes up the EU Presidency for six months. Those about to rock, salute you! The iconic Hard Rock Cafe is opening a new venue in Brussels this summer. The state-of-the-art location will showcase Hard Rock’s new design style and technology. Housed in a restored 16th century building, the multi-level venue is located right on the historic Grand Place. 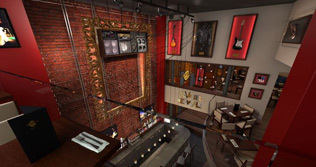 Hard rock memorabilia will adorn the walls, an interactive touch wall will allow guests to explore all other 174 locations worldwide and the Rock Shop will offer exclusive Hard Rock Cafe Brussels merchandise. An idea box for the staff of British Airways led to a bizarre but efficient proposal: saving the company enough fuel to fly 550 times from Heathrow to New York and back (worth a staggering total of €24 million!). More than 200 ideas were proposed: replace glass wine bottles with plastic ones, reduce the amount of water in the water-tanks, taxiing with one engine only, etc. The most ingenious idea was decalcifying the toilet pipes: this seems ridiculous but it significantly reduced the weight of the planes, saving € 707,000 in a year. 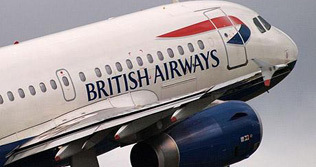 British Airways wants to reduce its CO2-emmission by 50% in 2050. Wish you were Here: A Belgian in the Moroccan Desert! Jerome de Brouwer, in a past life owner of a bistro in Brussels, fell in love with a piece of ground in Tamesloht, 25km under Marrakech. 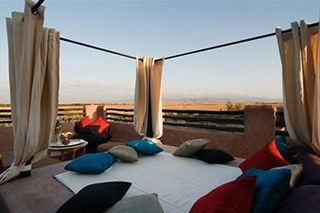 On his 15 hectare property, he built a beautiful farm and hotel completely in Berber style. 15 rooms and a restaurant await you in les Terres M’Barka, an oasis with olive trees all around and a stylish swimming pool for refreshment. 2nd edition “How to really use LinkedIn”? BBT Online’s Bruce Taylor enthusiastically reviews a new book by Jan Vermeiren & Bert Verdonck (made in Belgium, yes). This second edition of “How to really use LinkedIn” has been totally revised. It contains new tips and strategies. Moreover: all of the royalties earned by selling this book will be given away to charity. Read a detailed review by clicking here. Benchmark Hospitality International, a leading US-based hospitality management company operating 35 prestigious hotels, resorts, and conference centres worldwide, recently published its Top Ten Meeting Trends for 2012. What do they think are the ten biggest developments we should look out for in the coming year? Read more behind this link if you want to know what’s moving in the MICE World! 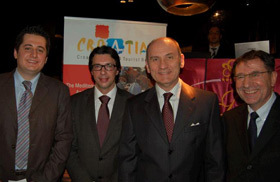 Croatia is one of the ‘in’ destinations of 2012 and is certainly making a big buzz in Brussels as it waits patiently to become a full member of the EU on 1 July next year. This time it was a team from Istria who invaded the capital of Europe to present the region’s wonderful Mediterranean gastronomy with two chefs from the famous San Rocco Hotel. Croatia Tourism’s Director, Ivan Novak introduced his partners in his usual ‘sympa’, smiling style….445kms of coastline, over 1000 islands, one of the cleanest seas in the Med plus excellent wines, record breaking truffles, wild asparagus, shellfish, shrimps and quality olive oil…and sun. What more could you want to accompany a meeting or event? During 75 minutes on 14 February, 109 participants from all segments of the European meetings and events industry gathered for a virtual brainstorming on the viability of the 7Cs Manifesto, a potential roadmap for the future of the industry, launched at the Event Summit in Luxembourg last year. The 7Cs Manifesto survived the test, 69% agreed or strongly agreed that Change, Creativity, Content, Credibility, Collaboration, Connectivity and Cost effectiveness capture the important issues for our industry to move forward. Believing that business performance can be positively impacted through incentive travel reward and recognition programs, a study was developed by the Site International Foundation and the Incentive Travel Council (ITC). The goal was to create a deeper understanding of what makes a program meaningful, motivational and memorable. In this second instalment, the study focused on what the participants found to be motivational. The opportunity to interact with higher level executives was seen as a motivational value by 60.2% of respondents. 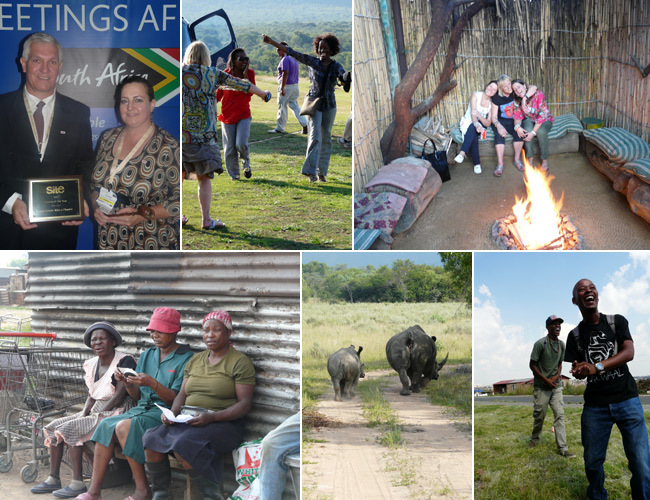 Invited by Director South African Tourism for Holland and Belgium Bangu Masisi, and Trade Relations Manager Jacqueline van den Broek, a small group of MICE professionals took off to the African continent for an 8-day trip to Johannesburg and its surroundings. The reason? To visit Meetings Africa: Southern Africa's biggest meetings, incentives, conferences and events platform for business tourism. 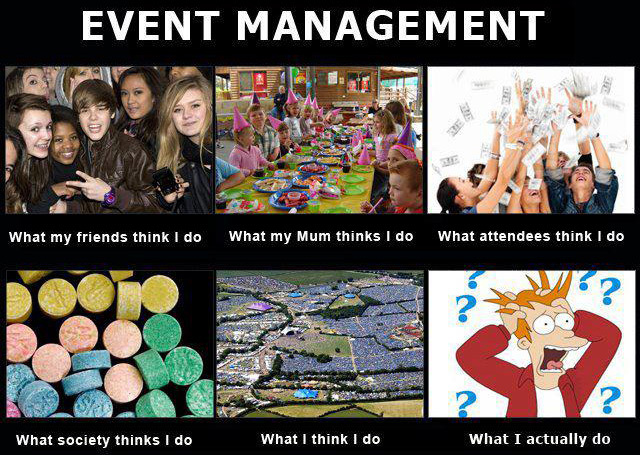 We were going to find out what the country has in store for meetings and incentives. It proved to be a candy box filled with unique possibilities. The pre-tour was a mouth-watering program hopping from highlight to highlight. Karin de Graauw reports. 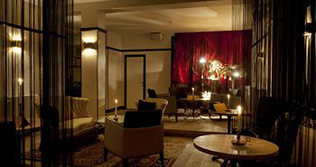 • Site Belgium on location event: Discovery of Ghent on Tuesday April, 17 from 3 till 10 pm. More info, click here. • Tourism Ireland invites 5 Belgian MICE agents to their "European Super Fam to Northern Ireland”. Date: 22 - 24 April. Interested? Send us an email to info@bbtonline.eu for a more detailed program. 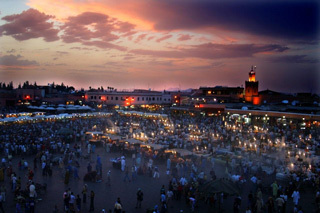 • Monday June 25, BBT Online will organize it’s 7th 4-Destinations workshop. Save-the-date. • European Cities Marketing released figures highlighting last year’s performance of Europe’s city tourism sector. ECM reports an average year-on growth rate of 6.2 % in respect to domestic and international overnight stays. International stays increased by 7.0%. London, Paris, and Rome remain the three most popular European cities, recording annual bednight levels in excess of 15 million. Barcelona and Madrid achieved the highest year-on growth rates, running out an impressive 15% and 11% respectively. At a country level, the US continues to be the single most important source market, followed by Germany, Italy, and the UK. Russia and China showed the highest year-on growth rates of 33% and 22% respectively. • As history speeds up in Myanmar, Europe can play a vital role in encouraging sustainable democracy, reform and economic progress in the country. A positive start has been made. • Business travel agent HRG introduces HRG Insight: a new interactive mapping and reporting tool. It enables companies to track down the current location of their travelling staff, giving them details of regional expenses and the likes. Business travellers beware! • The Russian market is growing significantly. That’s why Tourism Flanders recently opened a new office in Moscow. 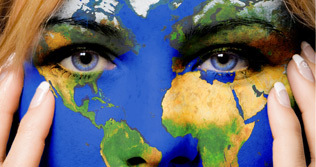 Flanders wants to concentrate itself more on the emerging markets. Compared to 2010, overnight stays from Russians in Flanders grew with a staggering 33% last year. • The new Meeting Guide Bruges 2012-2013 is now available, containing a broad selection of hotels, congress locations, event bureaus, PCO’s, DMC’s and culinary partners. Order your copy now and find out what’s new in Bruges! meeting@brugge.be. • Tourism Ostend announced the winners of the 4th Boost Awards. With this initiative, they reward the creativity of congress and event organizers planning events in the city. Best Convention was The Flemish Primitives organized by the Flemish Taste Foundation & Kursaal Oostende. Best Corporate Event was the Euphony Family Day. Best Incentive was Siemens Ecobuilding, and Best Public Event was Theater aan Zee organized by TarTarT VZW. • The AIM Brussels office moved to a new office building in Grensstraat 7 in Diegem, located 5 minutes from the Brussels International Airport, the NATO HQ and other HQs of international companies. Visitors and clients can use state-of-the-art meeting facilities and an auditorium able to seat more than 100 people. • Malaysia will appoint 4,000 taxi drivers in Kuala Lumpur as ambassadors for promoting the country. This decision is the direct consequence of tourist complaints about the Malaysian taxi drivers and is part of a bigger campaign to lure 36 million tourists to the country in 2012. • Ovation Belgium, in partnership with the Herge Museum, Moulinsart and the prestigious Rocco Forte Amigo Hotel, created an exclusive Tintin-themed treasure hunt in Brussels. Its creation will enable incentive programme qualifiers and conference delegates to explore the places that inspired and motivated Herge in bringing the much loved stories of Tintin to life. www.ovationdmc.com, hugo.slimbrouck@ovationdmc.com Click here for all the information. • Nick Longman, Manager Online & Distribution of TUI in the UK, predicts that traditional holiday brochures will completely disappear within the next 5 years. The number of mobile searches on Google increases with 131% each year, and is already responsible for 28% of all holiday related queries. • Tourism Ostend launched a digital Marvin Gaye experience. The legendary singer stayed in the city in 1981-1982 and wrote several of his biggest hits there. The Midnight Love Tour is an audiovisual walking documentary on iPod, taking you on a unique trip through Marvin Gaye’s Ostend. Sexual healing is not included. • Michelin boosts Copenhagen as a gastronomic capital. The new 2012 edition of the Michelin guide awarded Copenhagen’s restaurants a total of 14 stars: more than any other Scandinavian city. • Staying healthy on business trips is becoming an important topic. That’s why Intercontinental Hotels Group launches EVEN Hotels: a new hotel chain centred on wellness at an affordable price. Four core values form the basis of this concept: movement, food, work and relaxation. • Just 6 months after opening, Sur Mesure – Thierry Marx’ gourmet restaurant in the Parisian Mandarin Oriental Hotel – immediately received two Michelin stars. Marx describes his kitchen as a fusion between French and Asian-Pacific cuisine. • Amanresorts signed a deal with the Gabon government to construct 6 resorts and luxury lodges in the capital (Libreville) and in 5 of the 13 national parks. 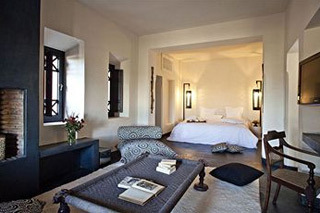 It’s Amanresorts second big project in African tourism development after opening Amanjena in Morocco in 2000. • Discover the US on a private plane in a group of 30 people (max)! USA specialist Connections offers a week of Mauiva Air-Cruises to New York, Washington D.C. and the Niagara Falls for €739. A week covering the Grand Canyon, Las Vegas, Bryce Canyon and Yosemite will cost you €939. • Not extreme enough for you? Book a flight on Richard Branson’s Virgin Galactic fleet. It will cost you $200,000, but that doesn’t stop it from being very popular. • Launched a month ago, KLM’s Meet & Seat was the first attempt to integrate social networking into the flight experience. Passengers with a reservation can log onto their Facebook or LinkedIn accounts to see who else is taking their flight. First only available for flights to NYC, San Francisco and Sao Paulo, KLM expanded: you can now look for the least annoying person to sit next to on flights to ten more destinations! • Etihad Airways, the national airline of the United Arab Emirates, has increased baggage allowances for all Pearl Business class and Diamond First class guests by ten kilograms. Guests travelling in Pearl Business class will now have an allowance of 40kg, and guests in Diamond First class will have an allowance of 50kg. 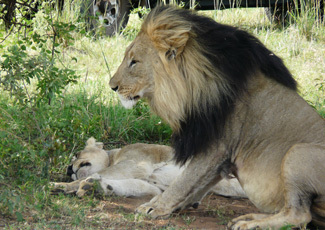 • SkyTeam introduced the Go Africa Pass. Pass holders can get a discount on African Kenya Airways flights. The pass is available for business- and leisure travelers flying with a SkyTeam-airliner on an intercontinental flight. Discounts can be as high as 75% of the original rate. • Sophie Coumont (GM of Hotel de la Source in Spa) is the new president-elect of Site Belgium. She was appointed as a result of a survey sent to all members and the decision was unanimous. • Laughing is good for you! If you’re driving your car and horrible things are about to happen, always consider your options and choose the lesser of two evils! Click here.